Brighton Open Market Opening Day is a huge success! http://www.brightonopenmarket.co.uk/wp-content/uploads/2016/10/open-market-logo-black-300x67.png 0 0 Brighton Open Market http://www.brightonopenmarket.co.uk/wp-content/uploads/2016/10/open-market-logo-black-300x67.png Brighton Open Market2014-07-29 10:24:532014-11-06 15:52:31Brighton Open Market Opening Day is a huge success! The Brighton Open Market team is growing! http://www.brightonopenmarket.co.uk/wp-content/uploads/2016/10/open-market-logo-black-300x67.png 0 0 Brighton Open Market http://www.brightonopenmarket.co.uk/wp-content/uploads/2016/10/open-market-logo-black-300x67.png Brighton Open Market2014-06-13 10:15:222014-06-13 10:15:22The Brighton Open Market team is growing! The finishing touches are being added to the brand new Open Market which Brighton Open Market CIC is now due to launch in June 2014. 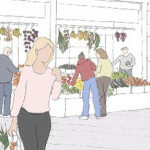 The redevelopment will breathe a new lease of life into Brighton’s historic Open Market quarter.